Do you see 3 Christmas wreaths hanging on the glass door ? Hee ... hee ! In my younger days, I've ever DIY simple Christmas wreath ... afterall it's all about getting crafty like decorate the Christmas tree, colourful gift wrapping and to make a simple wreath with colourful ribbons and ball ornaments between artificial pine or spruce branches etc. After a while, felt that it's more 'economical' to just purchase the wreaths sold commercially as compared to the materials costs I've invested. "A wreath is an assortment of flowers, leaves, fruits, twigs or various materials that is constructed to resemble a ring. 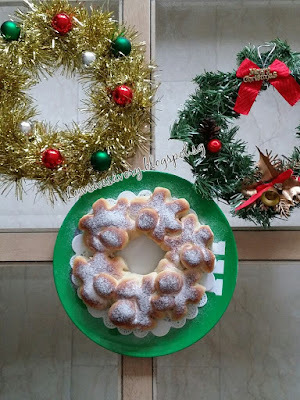 In English-speaking countries, wreaths are used typically as household ornaments, mainly as Christmas decoration ...."
Well .. here, I've baked an edible wreath ... lol. Actually bread formed in a ring resembles a wreath. Dust with some snow powder to make it looks like a Christmas wreath hanging on the window or door covered with snow ... wish that I could spend another snowy white Christmas again. Below my slight modification as added some dried cranberries. 1) In a big bowl, combine half of the bread flour together with yeast, caster sugar, and milk. Mix with a spatula till sugar and bread flour dissolved. 2) Add the remaining bread flour, salt, and butter. 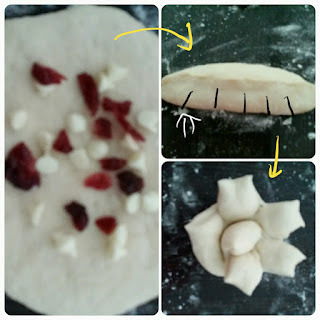 Continue to mix well till a soft dough is formed. 3) Turn out onto a lightly floured surface and knead well until smooth. (I added extra 20g of bread flour as the dough is slightly wet and sticky). 4) Shape into a ball and place in a lightly greased bowl. I greased the bowl with canola oil. Turning once to grease surface. Cover with cling wrap or cloth and let rise in a warm place until double (about 45 mins to 1 hour). 5) Punch dough down. Turn out onto a lightly floured surface. Divide into 6 equal portions (the weight of my dough is 50g each). Gently roll into smooth balls and cover with a piece of damp cloth and rest for 10 minutes. 6) Flatten the dough with palm on lightly floured surface. Sprinkle some white chocolate chips and dried cranberries. Roll it up and pinch the edges to seal. 7) Gently stretch out flatly by hands, and cut 5 notches with a dough cutter. Roll up from left to right, and pinch the ends of the dough together. 8) Place the dough with seam side down on a lightly greased mould with butter. (I used a chiffon tube pan) Cover with a damp cloth to proof for 20~30 minutes. 9) Preheat oven to 180°C. Position the rack in center of oven. Bake for about 15 ~18 minutes or until golden and cooked through. Check the bread after 10 minutes. 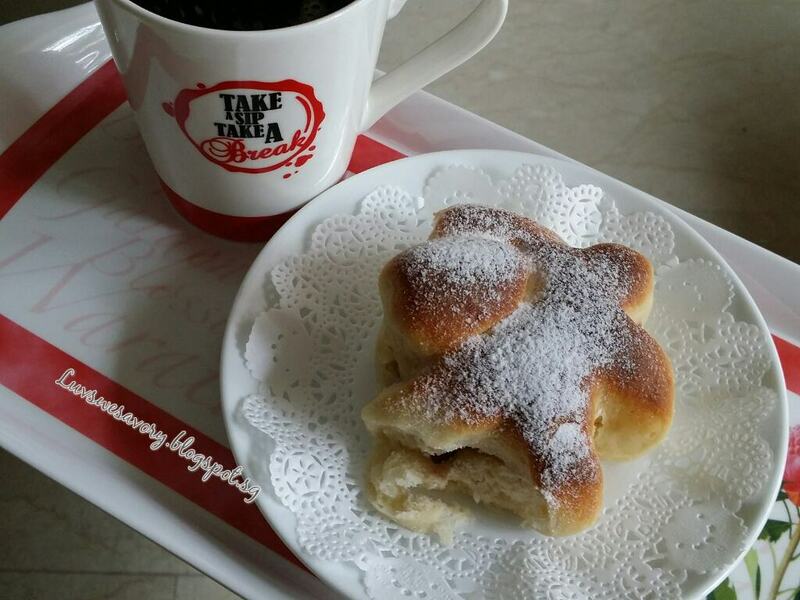 Once the bread is cooled, dust with some snow powder before serving. Hi Karen, that is a cute, yummy edible wreath. The wreath bread with the sugar sprinkling looks so fluffy and yummy! Thanks Nancy. I like that 'snowy look' too. 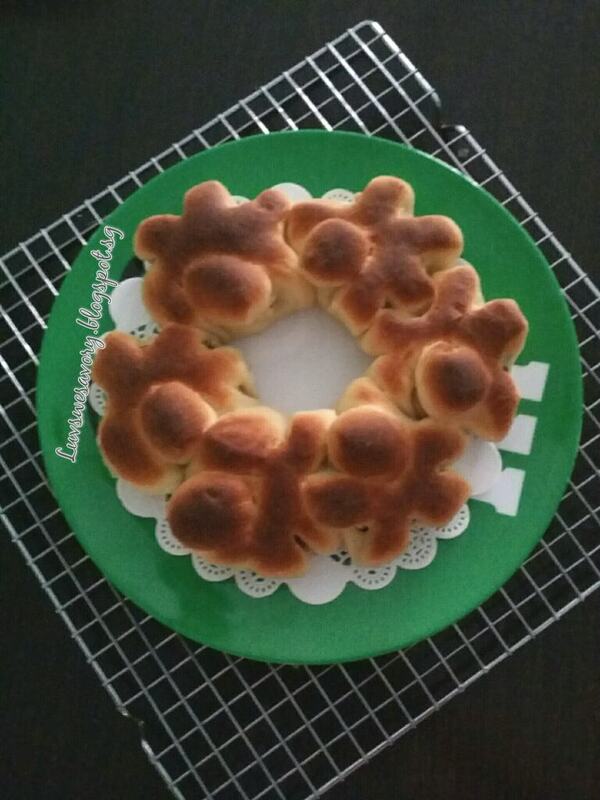 Hi Karen, this wreath bread looks so cute and festive! Thanks Phong Hong. All were gone within an hour ... ha ha! Hi Karen, you are so creative, love this wreath. 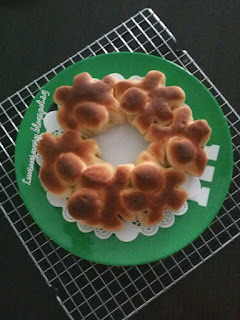 Your wreath bread looks so festive! Your edible wreath is very pretty! Karen this is sooo beautiful !! Thanks Gloria, enjoy your weekend and festive season ! Hi Karen , What a lovely wreath bread ! Looks so festive & a beautiful creation ! 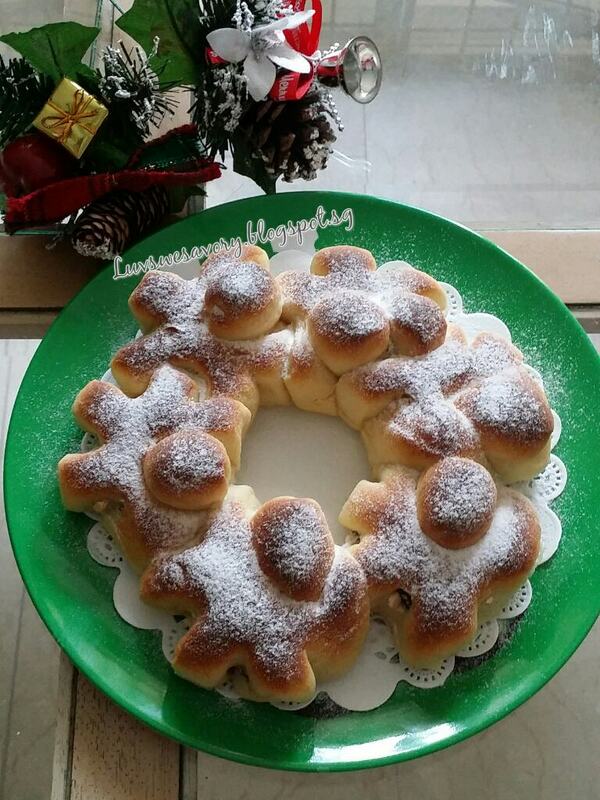 Your X'mas wreath bread looks fanfreakingtastic, Karen. 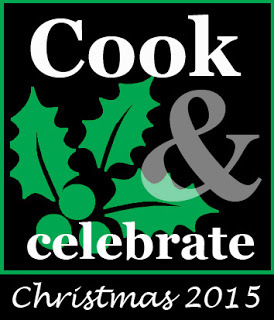 You too have a blessed holiday season!